Just in case you didn’t know what that acronyms is N3DSXL = New Nintendo 3 DS XL. -Claps Hands- Welcome, welcome, welcome a new baby to the family; My new New Nintendo 3DS XL: Galaxy Style!! Ah, such a beautiful baby. I’ve been eyeing a New Nintendo 3DS for a year now. The game stop in Capitol Hill had 1 available so I decided that this is the weekend I’m going to buy myself one. I didn’t bother telling anyone about it besides my brother, BF and people around me because I’m too lazy to deal with the people asking “why a DS and not the Switch?”. My answer would be that they’re two different consoles and I just really wanted a New 3DS for a long time and the only game I’d die to play on the Switch is probably the Fire Emblem series. Since it won’t be til next year… I’ll just save up til then. I honestly wanted a N3DS with a changeable face plate. The ideal one would have been the Animal Crossing: Happy Home Designer bundle but I didn’t do enough research about it back then so I missed out OTL of regrets. But when I think about it carefully, who needs the face plates. That just gives me more reason to spend. And to be honest, how often would I be changing the plates anyways? 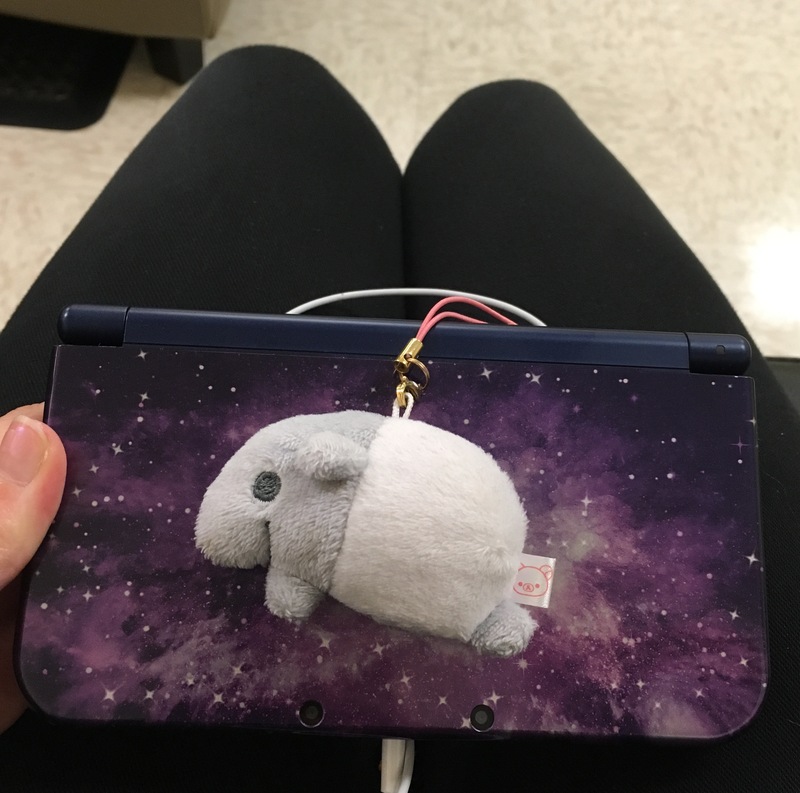 So that idea died and the Galaxy Style N3DS was ideal because it was purple! So far I’m very happy about my purchase. With the bigger brighter screen, better 3D experience and the grip just makes it much better over all. I’m glad I purchased it and I hope it will be with me for the next coming years. I kinda regret selling my 2DS so my friend. I wish I still had it with me. It worked great and it was one of the first things I bought for myself when I got my first full time job. I miss it. But I know my friend would take good care of it.